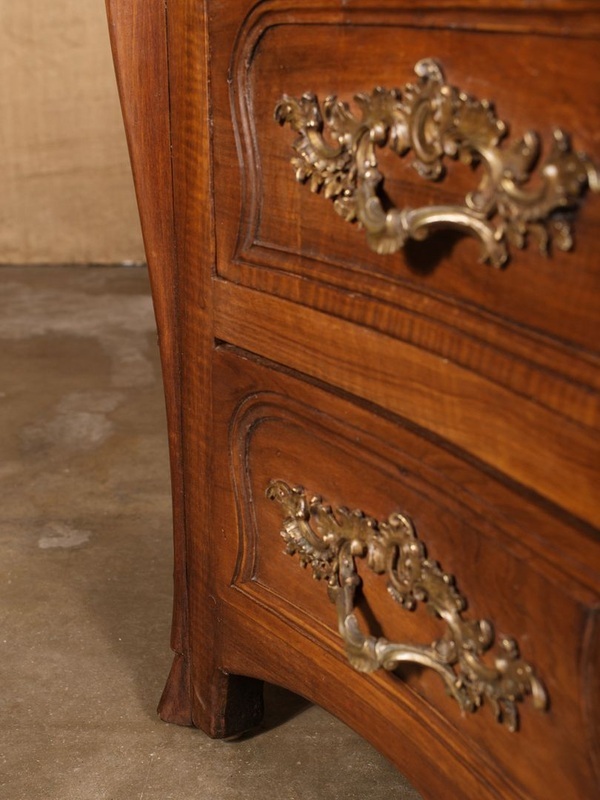 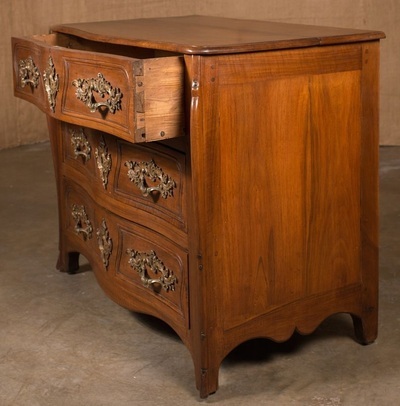 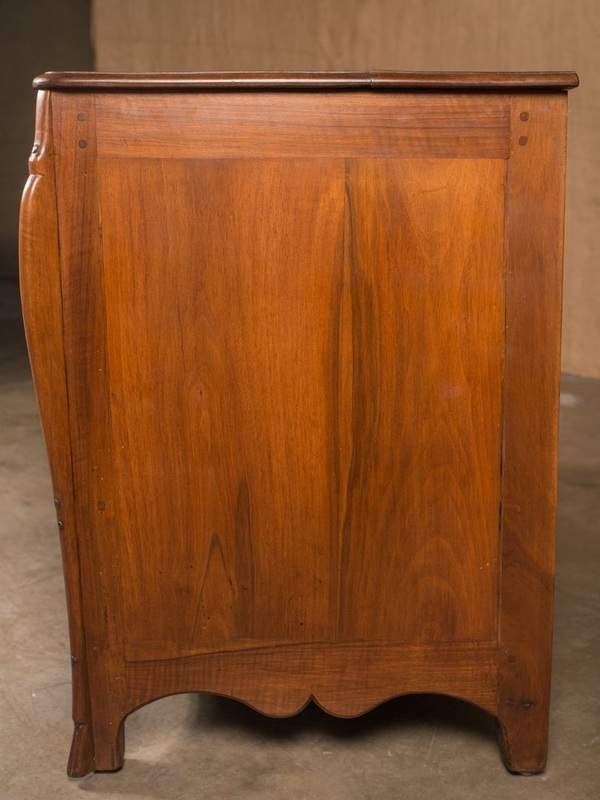 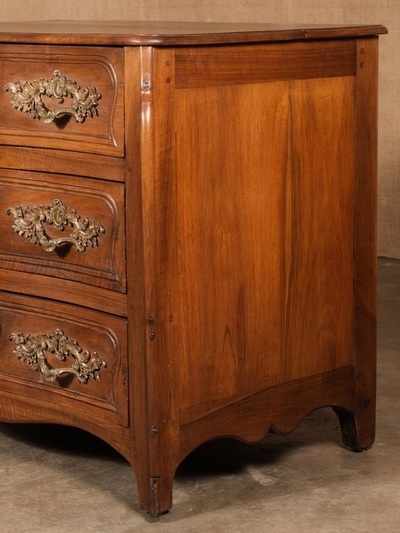 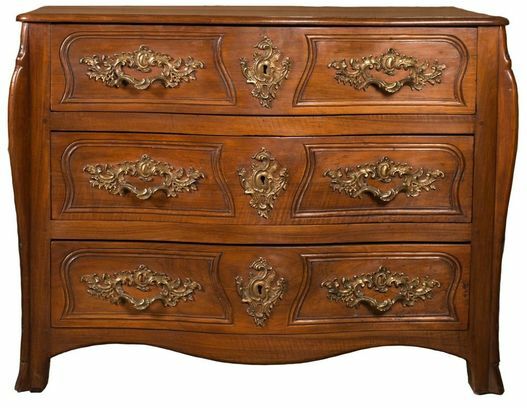 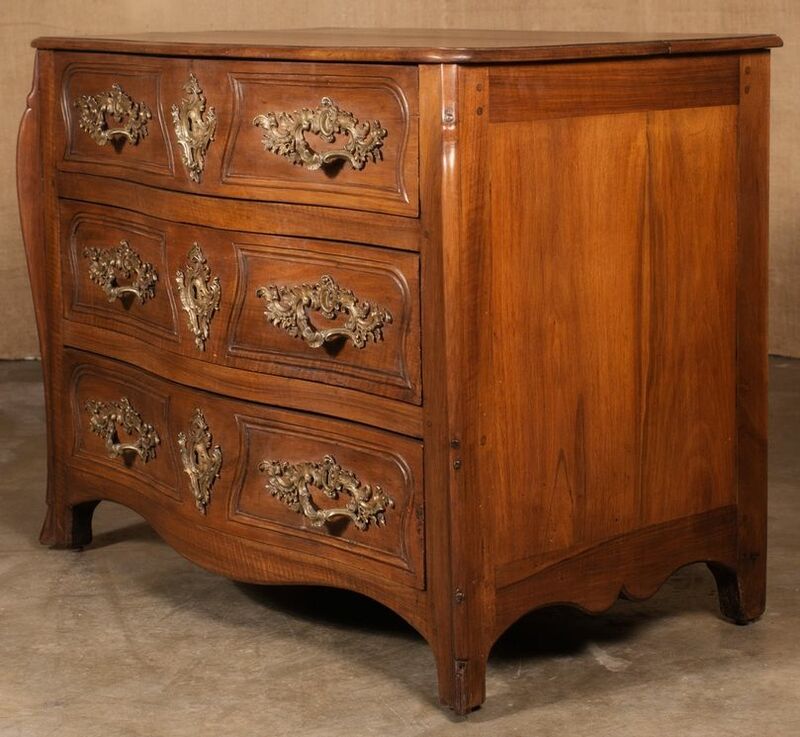 Lovely 18th century Lyonnaise commode galbée (curved). 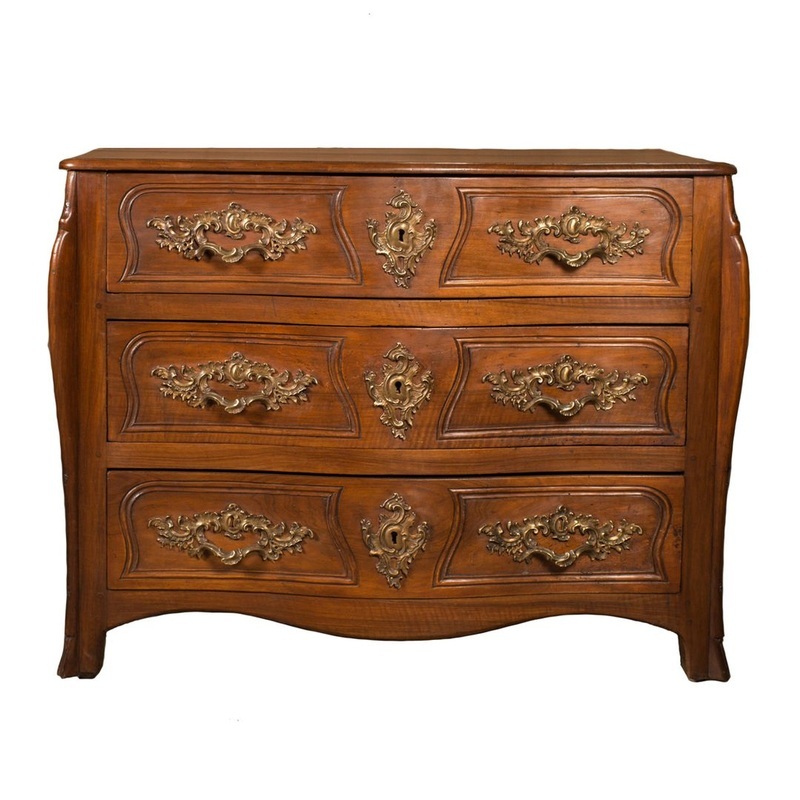 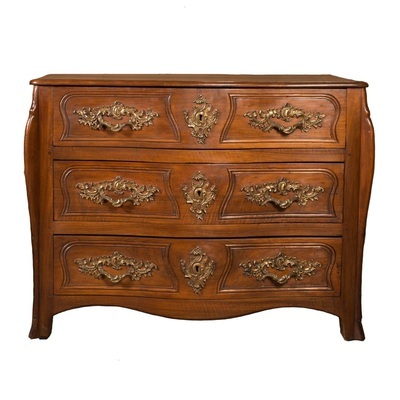 Hand crafted from select French walnut by the master artisans in the regions surrounding Lyon. 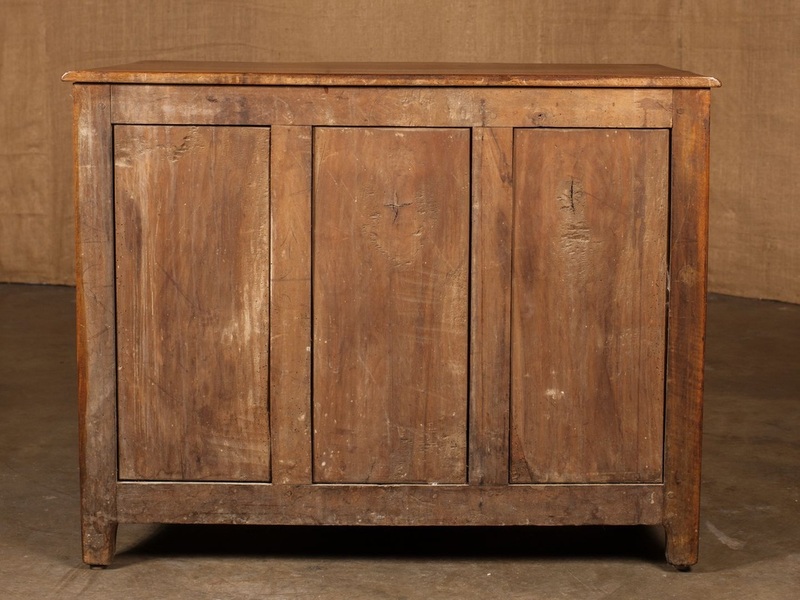 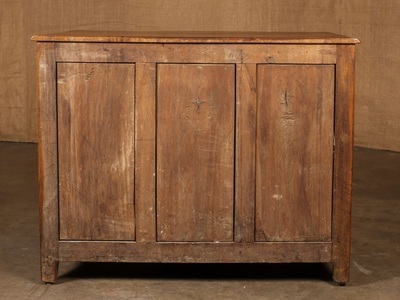 Curved front has three drawers with simple, shaped, raised panel moldings and sabot de biche. 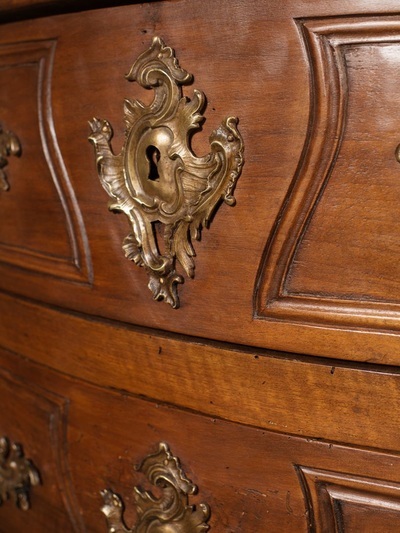 Original gilt-bronze lockwork, escutcheons and drawer pulls with foliate motifs for an authentic and historic example of 18th century hand crafted artisanry. 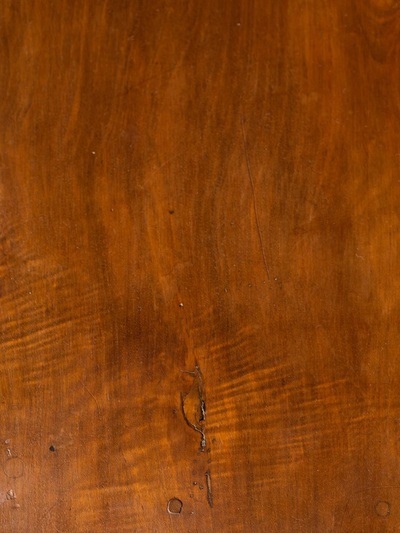 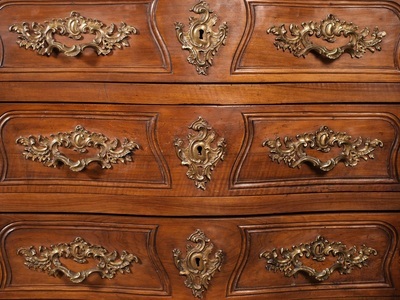 When this piece was made, the Lyon cabinet maker kept the ornamentation orderly and simple with little or no motif. 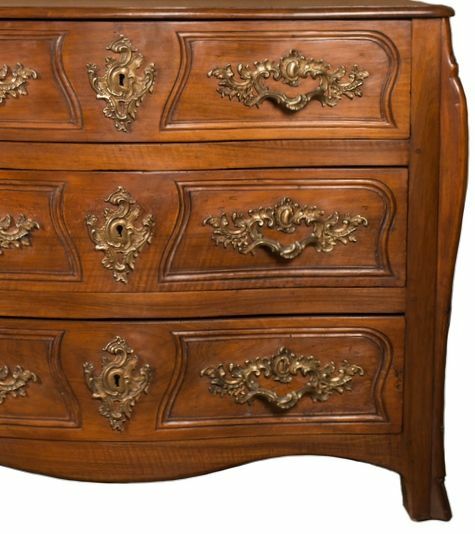 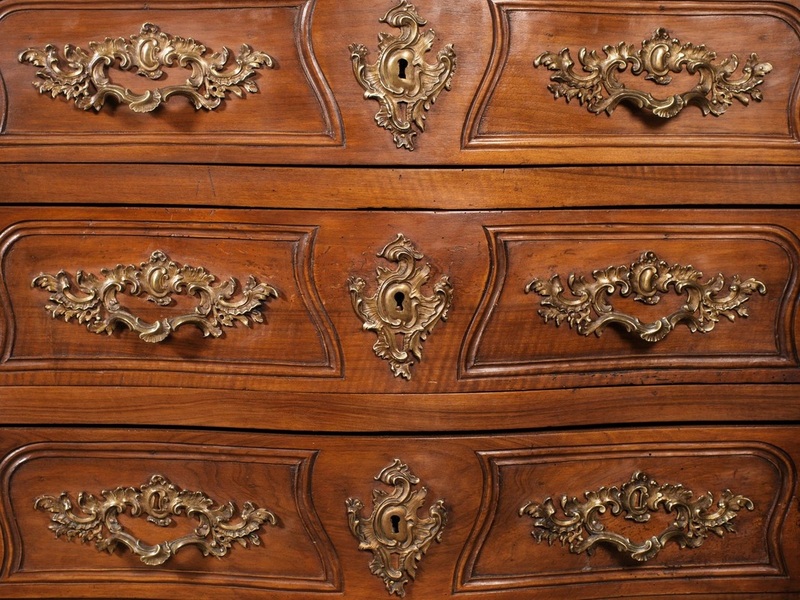 The rocaille motifs with twisted scrolls and shells that were fashionable in Paris came later in the century for the Lyonnaise cabinet maker. 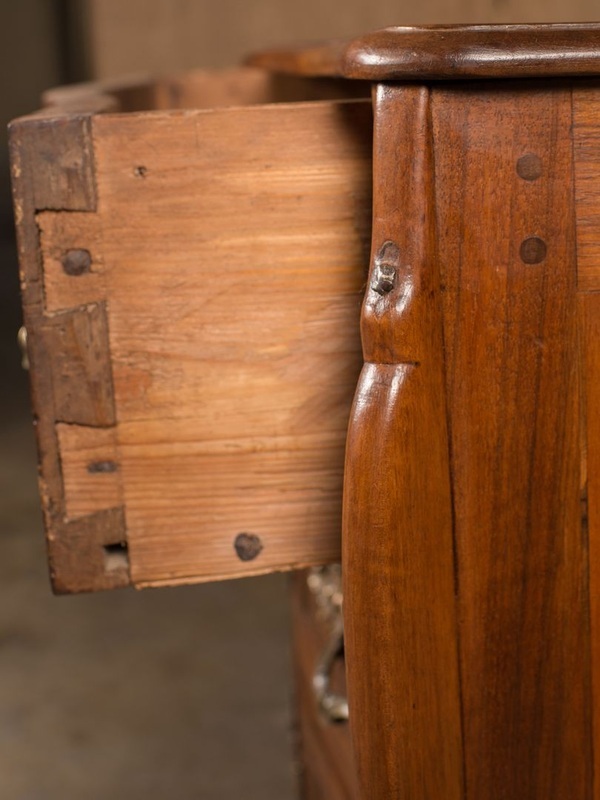 The architectural structure was still maintained in the body shape even then.